A few posts back many of you gave me your lists of great bands of the 70s and I listed Three Dog Night. Several of you mentioned them as well. Over the years I have had the pleasure of meeting all of the guys in Three Dog Night because my uncle, Freeman Batchelor toured with them as road manager, etc. in the 70s. 1. It’s football season. Who is Michael Allsup pulling for in regards to college and pro teams?Too many to name. I love the Patriots but Brady’s out for the season, … love Indianapolis, kind of like the NY Giants, the Jets and Favre are tickling my ribs. I guess I’m more of a “good weather” fan when it comes to my west coast teams. I’m wanting to be a 49er fan again, but it is hard these days. Oh, I left out N’Wahluns Saints. Pulling for them, too. College? Hmmmm, USC I suppose. 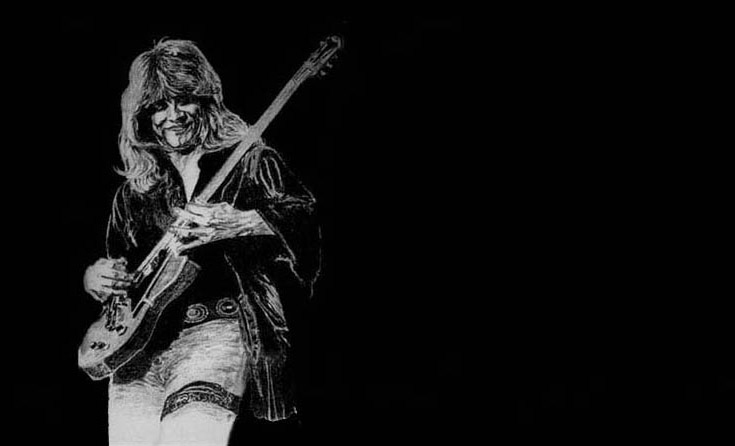 2. Who is your favorite guitarist of all time? An easy answer on that one: Jimi Hendrix. Nobody like him, although much imitated. He’s my number one fav of all time. Best rock n roller/blues/psycodelic/whatever that ever came down the pike. Let me list a few others that I love. Wes Montgomery, Freddie King, Larry Carlton, Steve Lukather (Luke), Ted Nelson (my original guitar teacher who was blind), and of course Stevie Ray who was just coming into his own when he was in that helicopter crash that killed him. Other ones? Tony Mattola, Roy Clark, Jerry Reed, Jerry Reed, and Jerry Reed. “Cletus Snow” smoked. Just ask Glen Campbell, who also smoked/s. 3. What guitar do you play in concerts now and what have you played over the years withThree Dog Night? I now play a Fender STRAT ULTRA and love it. It has humbucking lace sensor pickups in the bridge position which gives it a good kick. Also, the EBONY fingerboard is worth mentioning. Way better than any of the other fingerboard materials such as rosewood, etc. Denser, thus smoother yet better than the blonde necks for getting sustain out of the strings when using finger vibrato due to the small grain. One other feature of the STRAT ULTRA’s are the hand vibrato/wobble stick/whatever. It’s a tad different than the standard strat. Dives quicker and seems to hold tuning a tad better. The hand unit itself SNAPS in, instead of screwing in like the standard strats. I’ve changed out the NUT on mine, preferring the Wilkinson roller nut. In the “old days” I played a Telecaster for awhile, but mainly … a LES PAUL. Most of our hits were done on my Les Paul’s. Gold tops and Black Beauty’s. 4. Do you remember the first band you ever played a gig with? 5. How much of a clue did you have that Three Dog Night was going to do something BIG when you agreed to be in the band?Somewhat of a clue, although none of us new just HOW big the band would be. We were all confident that this band was going places, but I can’t really say we KNEW it. We all had “the dream” and the chemistry was there. That’s putting it mildly. CHEMISTRY like you wouldn’t believe. Like I wouldn’t believe. A fantastic gathering of people and talent that would shape my life incredibly. 10. 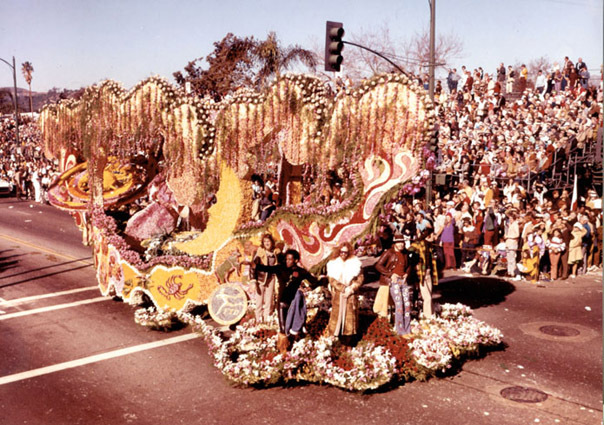 Remember when you guys (TDN) were the first band to ride a float in the Rose Bowl Parade? Sorry…Chris Farley moment. Was there a 3DN gig that stands out as the “we’re never going there again” gig (that you can talk about)? None that I can TALK ABOUT. Nyuk. COOL!! Thanks Michael for answering a few questions from THE FAST LANE. Michael has a solo album titled “Some Women.” To place an order please click the link below. 6. Do you have a favorite event or concert that sticks out in your mind as the coolest? Not really, although there have been a lot of great ones in my memory. The Dallas Cotton Bowl gig (way back when) was a hoot. Just too many shows to really pick one. Sorry. 7. Realizing most of your life has been on the road and understanding that home must be a treasured place to be after traveling all the time, what is a typical day at home like for a rock n’ roll guitar player these days? You will find me up on a ladder trimming trees, building wood projects, backyard projects of varied intentions. A lot like the rest of you, really. BEING HOME IS BEING ON VACATION FOR ME. 8. 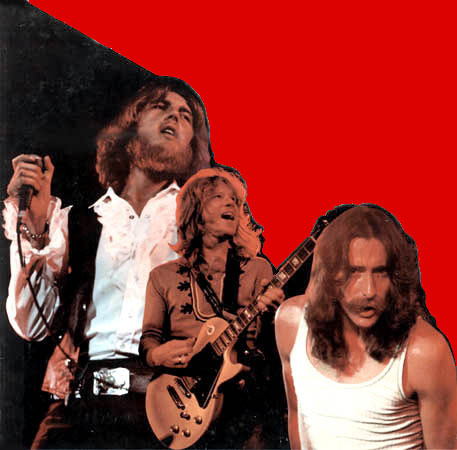 What is your favorite Three Dog Night song? Probably “WOMAN” although we don’t play it live anymore. Truth is: I love all the songs we play. I really do. What I love most is the wonderful smiles on the faces of the audience when we start a song and they recognize it. I always wanted that and now I have it. A beautiful thing. I’d like to thank each of them individually if I could. 9. Of all the places you’ve visited what would you say is your favorite town/city in the U.S. of A? Again: HOME. Modesto, CA. I must admit to being partial to the North country. Particularly, Wisconsin and Minnesota. Some lovely places in upstate New York. All of New England. Of course these places are very seasonal, so one must take that into consideration when visiting. Three Dog Night was the third band I saw. Broome County Veterans Memorial Arena, Fall of ’74 I think. I still have the ticket stub, just not in the mood to go digging for it. They were great! The first two: T Rex & Grand Funk Railroad. Dude, that was a very cool treat. Almost as cool as Flav’s interview! Thanks for sharing that! Great Interview. Thanks for sharing it with us. Pretty cool interview Eric. I’ll have to have a word with Michael about pulling for the N.O. Saints, especially after the great win yesterday for the Falcons. Maybe we can get him behind the “new” Atlanta team. Kurt: I remember that gig; hockey arena in Binghamton, NY, right? I do remember T. Rex playing a bunch of shows with the Dog that year. Was Grand Funk there that night or did you see them separately on another date? I can’t remember. Ya’ll should check out Micheal’s personal album. When I say “personal” that’s what I mean. I believe he played ALL the instruments; keyboards, drums, guitars, etc. as well as vocals. I think he wrote all but two of the songs; he does “Sail On Sailor”,a great song by Brian Wilson(Beach Boys) and “Some Women” by Hoyt Axton, who past away while Michael was working with him on that song. That’s correct. It’s where the Broome Dusters of the North American Hockey League played. The Paul Newman movie Slapshot was based on that league and the Hanson brothers of the Johnstown Jets. It was great hockey, nasty. No helmets required, lotsa’ fights, and great players. I saw T Rex as a headliner. Don’t remember who opened for them. Marc Bolan was an animal. He was asked never to set foot in Binghamton again. His guitar love making was over-the-top for the conservative base at that time. As a matter of fact, Alice Cooper was booked for later that year and they cancelled the show. I had tickets, got a refund; and was relagated to seeing them in the movie theatre, Alice Cooper: Glad To See You Again. Billion Dollar Babies Tour. I suppose “guitar love making” is a little better than guillotines and gallows. Grand Funk Railroad was a headliner. Shinin’ On Tour. I think Wet Willie opened. I was on the retaining wall front & center. Mark Farner’s sweat actually flew all over me at one point. I didn’t shower for a week. Just to let you know, I was a huge Three Dog Night fan! Favorite song: Liar. Cool interview, Eric! I haven’t seen Three Dog Night live, but have enjoyed their many great songs through the years. Kurt: LOL….You’re dead on right about Marc Bolan. He was one lewd dude. T. Rex opened 10 or 15 gigs with the Dog and wasn’t recieved very well at all with their fans. After playing a long version of his hit song, “Get It On”, hardly anybody clapped or even responded at all. With his heavy English accent he blurted on the mic, “What’s wrong with you people? I’m a big star in England.” Unfortunately, he was killed in 1977 in a car crash that was driven by one of his back up singers, Gloria Jones. She survived. Three Dog had a lot of songs I really liked but my favorite is “Shambala”. Don’t know why, just a good-feeling song. Freeman: Do you remember any of the details of where my first TDN concert was? I know it was Nashville and maybe in conjunction with a state fair or something, but I was six and don’t really know thinking back on it. I remember cruising Nashville with the band that day though and staying in the Nashville Hilton I think. John: Next time they’re in town maybe we can go. Ellison: No…thank you for the comment. AO: How did you know 3DN? I was six the first time I heard them, that’d make you about -3 months or so? My favorite 3DN song when I was a kid was “Joy To The World” – Jeremiah was a bullfrog……..but I probably lean to “Mama Told Me” and “Shambala” as well. I remember when I got the “Shambala”/CYAN album in the mail and opened it, autographed by the whole band and Michael had written a huge note to me. COOOOOOOOL. It was then and it is now. Eric: You remember almost as much as I do about Nashville. I do remember when we went to the gig my Mom and Dad drove us and it was an outdoor stage. We were having a hard time at the fairgrounds because of traffic. I kept having to show my backstage passes until some nice cop helped us out and got us thru the bulk of it. I also remember one of the bands playing was one of my favorite guitar players, Leslie West of “Mountain”, which in after thought was one of my favorite 70’s bands. One of the other bands was called “Rush” and I believe “Strawberry Alarm Clock” played too. I remember the cruising around Nashville too. Some of the guys (Michael, Floyd, and Greenspoon, maybe Cory too, you and me) wanted to see the Grand Ole Opry. I remember how little you looked in the limo, about the size of a bar of soap. We went to a really cool music store first and when we got to the Grand Ole Opry you were having a hard time keeping up so Floyd hoisted you on his shoulders. Sorry it took so long to get back to you. I didn’t check my email last night. YEAH THE CONCERT SCENE IN THE 60’S AND EARLY 70’S WAS VERY ECLECTIC. THEY COULD REALLY MIX UP SOME OF THOSE BILLS!! WHAT HAPPENED PEOPLE? C’mon dude, Adam’s mobile above his crib played “Black & White”. Speaking of Leslie West…saw West, Bruce & Laing open for Boston in ’77. When I first heard about that concert I didn’t get it. I thought “These guys(Boston) are going to get blown off the stage.” It actually was the other way around. Boston was “clean & loud”. Great concert! 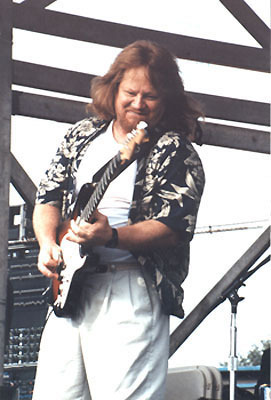 Here is a hint: He has long reddish blonde hair and holds a guitar quite frequently. I’ve met Mike a couple of times, and he’s oneof the nicest people ever! Such a sense of humor! And always with a smile on his face. Rock on, oh beloved Barkeep! Give me a call ! (503) 933-9163 or E-mail me I’ve got a couple of songs that I would like to play for you. And by the way I do like what you are doing these days please let me know when you will be on stage in the Northwest. your Bud .